Our kids are busier than ever, and practicing mindfulness can help reduce their anxiety, improve focus and memory, and make falling asleep easier, research suggests. These apps will chill your child out and teach him to learn the basics of meditation. The popular adult mindfulness app now has a kids’ series of breathing exercises, visualizations, and meditations grouped into five categories: kindness, focus, sleep, calm, and wake-up. Choose the one that best suits your child’s needs. 5 and under, 6 to 8, 9 to 12; $8 per month. Developed by a Danish psychologist, this audio-only app offers easy-to-follow breathing exercises for your kid to use any time she’s feeling stressed. Other activities like the body scan will help her relax, and soothing nature sounds can lull her to sleep. 5+ years; $5 for premium. Here’s another skill set from Amazon Echo. If your kid needs help quieting his mind during the day, he can say, “Alexa, open Thrive” and ask for a meditation. On nights when he can’t sleep, a “power down” will do the trick—and keep screens out of the bedroom. Download for free. This app offers mindfulness sessions, developed by a team of psychologists, that start with a quick series of questions to focus the mind followed by simple, easy-to-follow meditation exercises. Download for free. Perfect app to incorporate into your bedtime routine. Has four bedtime stories that are transformed into guided meditations designed to promote relaxation and contentment. Download for free. This article was written by Jeana Lee Tahnk from Parents and was legally licensed through the NewsCred publisher network. Please direct all licensing questions to legal@newscred.com. Rock-a-Bye Baby, Tura Lura Lura, Frère Jacques—all were as signature to your childhood bedtime routine as bath, books and lights out. Not anymore, according to a new YouGov poll commissioned by the Lullaby Trust (and reported on by The Telegraph) in the UK. Nowadays, just over a third of new parents with kids under the age of five sing lullabies at bedtime, per the study. Not only that, the majority of parents who do are age 45 or older, which means that millennial parents are phasing out the musically-inspired bedtime tradition almost altogether. But here’s the rub: Numerous studies—including this one out of the University of Montreal—report that singing keeps babies calm twice as long as talking to them. Lullabies are also scientifically proven to be an essential precursor to later educational success and emotional well-being, according to Sally Goddard-Blythe, director of the UK’s Institute for Neuro-Physiological Psychology. So, whether you sound like Céline Dion or Countess Luann, it may be worth delaying bedtime another three to five minutes so you can make time for a lullaby. And if your kid nods off even a hair faster than typical? Well, that’s just a credit to you. My friend (never one to let me wallow) had a genius idea: Ask his teachers who he plays with. The takeaway: Your child’s teachers are angels from heaven. Ask them for help. And give them really nice Christmas gifts. Helping our children navigate the stresses and strains of daily life is more important than ever. Figures released in November last year by NHS Digital show a worrying rise in young people’s mental health problems; sadly, my experience as a GP confirms this. One in eight children aged between five and 19 in England has a diagnosable mental health condition; the prevalence of emotional disorders, including anxiety and depression, has risen by 48% since 2004. “The pressures young people face range from school stress, bullying and worries about job and housing prospects, to concerns around body image,” says Emma Saddleton, helpline manager at the charity YoungMinds. While we may not be able to remove all these challenges, we can pass on skills to help young people cope with stress and adversity. “It’s what’s known as resilience,” Saddleton says. “The ability to overcome difficult experiences and be shaped positively by them.” Our brains respond to the information around us, so resilience can be taught, modelled and nurtured at any age. “By doing this, through strong support networks and encouraging communication, we can help young people understand when they feel down and know what they can do to make themselves feel better,” she adds. As a parent myself – I have a son of eight and a daughter of six – it’s something that’s high on my agenda, and I’ve discovered some effective techniques. Crucially, they don’t require you to overhaul your parenting style, but simply to make a few tweaks that will help your children thrive. Resilience comes from relationships; children need nurturing. It’s not a magical “inner strength” that helps kids through tough times; instead, it’s the reliable presence of one, supportive relationship, be it parent, teacher, relative, family friend or healthcare practitioner. My key point is, it’s quality, not quantity, that counts. Ten minutes of fully focused attention is better than an hour when your mind is on other things. If you’re on your tablet at the dinner table, you’re teaching them it’s OK to always be distracted. And that they are not important enough for your sole attention. One-on-one time doesn’t have to be time carved out of an already hectic schedule. Make bathtime, car journeys, meals, queues count. Chat, listen, talk about your feelings, encourage them to express theirs. Once these one-to-ones become regular, your children will know they always have a safe space to open up. I see so many children who are struggling to sleep, waking tired, with dark circles under their eyes. A lack of good-quality sleep is a huge driver for stress: it has a negative effect on memory, concentration, cognitive function, and decision-making. One of the fastest ways to improve sleep – for all of us – is to limit screen time before bed. The type of blue light emitted by digital devices suppresses production of melatonin, the hormone that signals to the body it’s time for sleep. In addition, looking at screens before bed keeps us emotionally wired and stimulated, making it harder for us to switch off. Earlier in the evening, insist everyone uses “night-time mode” on their devices, which swaps the blue light for a warmer glow. You can download apps that do this (such as f:lux), too, or buy blue-light-cancelling glasses. It’s also worth switching your children’s night lights to red ones – red has the least impact on melatonin production. When I did this in my children’s rooms, they slept in more than an hour later the next morning. We all know that regular activity is important, and that most of us, children included, need to do more of it. But what if I told you that, as well as keeping them physically fit, exercise will increase your child’s resilience? It actually strengthens the brain. It’s well documented that exercise is on a par with medication when it comes to treating mild to moderate depression and anxiety. This could be because it gets the body used to moving more fluidly in and out of the stress state. The same hormones released when we’re stressed (cortisol and adrenaline) are raised temporarily when we exercise. Regular physical activity teaches our stress-response system to recover more efficiently. It can be a lot of fun to do this together, and I’ve learned that kids do what they see us doing, not what we tell them to. I’m a big fan of “movement snacking” – short bursts of exercise throughout the day. I’ll put on the radio before dinner and we’ll all dance around in the kitchen. Or my kids will join me doing squats, star jumps, bear crawls or frog hops. The sillier I look, the more they seem to enjoy it. Resilience means understanding you can’t always have what you want as soon as you want it. It’s an important concept to pass on in the age of Amazon Prime, Spotify, Netflix and Uber. Psychology teaches us that people who can accept delayed gratification lead happier, healthier lives. Without the ability to defer pleasure and reward, our kids are losing an important skill for their wellbeing. One of the best ways to teach it? Playing board games. These require impulse control, turn-taking, and mental flexibility. They exercise the prefrontal cortex, the rational part of the brain involved in decision-making, emotional regulation and, yes, resilience. Board games are also a good way for you to model resilience by being a good loser. But there are no shortage of other ways to encourage delayed gratification: learning a musical instrument; listening to whole albums instead of skipping from track to track online; mastering a new sport; even watching a TV series together week by week, instead of bingeing in a couple of sittings. Nutrition has a significant impact on mental health. Good-quality food changes the composition of our gut bugs, which helps send calm signals to the brain. Poor-quality, highly processed food sends stress signals instead. A diverse diet, rich in fibre, will lead to greater diversity in our gut bugs, which in turn will help make us more resilient, and anxiety and depression less likely. Persuading kids to eat more healthily can feel like an uphill battle, though, especially if they’re fussy, so this is not about becoming a top chef – just trying a few tricks that can really benefit them emotionally. I like to challenge the whole family to “eat the alphabet” over 30 days. I think it’s a realistic goal to consume 26 different plant foods in a month: A for asparagus, B for banana, C for chickpeas, and so on. It turns healthy eating into a game, and encourages children to try new foods. Turn it into a competition and see who can tick off all the letters first. Instead of pestering your children with questions such as, “How was school?” and, “What did you do today?”, teach them to reframe their day. 1) What did someone do today to make you happy? 2) What did you do to make someone else happy? 3) What have you learned today? I love this simple exercise for how it helps us all find the positive in every day. It teaches gratitude, nurtures optimism, and recognises kindness. It doesn’t matter what may have happened at work or school, or how stressed any of us may have felt when we sat down at the table; the whole mood seems to lift once we’ve played this game. I learn things about my kids that they’d probably never have thought to tell me otherwise. Try it. It might just become the highlight of your day. This article was written by Dr Rangan Chatterjee from The Guardian and was legally licensed through the NewsCred publisher network. Please direct all licensing questions to legal@newscred.com. It’s very normal for babies and young children to be attached to their mother. Children want to feel protected, and the closer they are to their parents, the safer they feel. So it’s understandable for a child to start crying if their mother suddenly disappears from sight. To avoid this automatic crying fit, moms will try to sneak out of the house when someone else is watching the kids, but it’s better if your children see you leave. Why should children see us when we leave home? 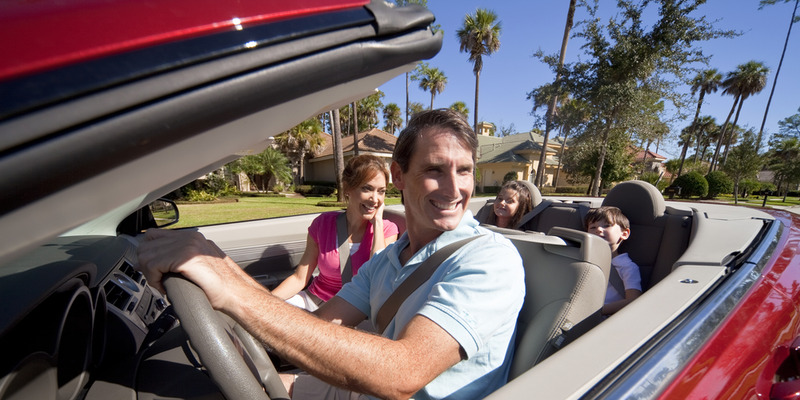 Before parting, it’s best to tell your kid where you’re going and that you’ll be back soon. Although it is painful to see them cry, it’s the healthiest thing to do. As they get older, they’ll understand that you always return after you leave. It took me a while to understand this. With my youngest son, I often left the house unannounced and disappeared from his sight when he was distracted. He spent a lot of time running around the house looking for me after I left. Because of my pattern of sneaking away when going out, he sometimes got scared and thought I had left him when I was just in another room of the house. To help reduce his anxiety, I began to look at things from his point of view and react accordingly. When I had to leave the house, I explained that I would only leave for a few minutes and then return. I also would explain that I was still at home (even when he couldn’t see me) I was just in the bedroom. I now could let my son happily play with his father in the kitchen because he knew I wouldn’t leave for the market without saying goodbye. But won’t they suffer more if they see me go? Depending on the child’s age and relationship with their parents, their reaction when their mother leaves may vary. However, it is always better to say goodbye when you leave so your child can start handling their emotions when mother and child separate. It’s also important to explain to your child that you’ll leave but will return, or else even a five-minute absence can cause children to panic. In early childhood stages, 10 minutes feels much longer for your child than it does for you. Over time, the child will understand that Mom comes back after all, and their crying fits will lessen in time and frequency. Will they every stop crying when I leave? The crying won’t stop immediately, and maybe not even soon. But just because you don’t hear them cry when you leave doesn’t mean the babysitter doesn’t have to handle their tears when you leave. However, it’s not the end of the world if they cry. Always allowing your child to say goodbye even when he cries will allow him to get used to the pattern and thus eventually balance out his emotions. Disappearing from your child’s sight without warning can generate feelings of insecurity and lack of protection. Never leave home without saying goodbye to your child. Remember that good communication and emotional bonds (even when they are young) generate an emotional support in your child that will affect them for their whole life. This article was written by Fernanda Gonzalez Casafús from Family Share and was legally licensed through the NewsCred publisher network. Please direct all licensing questions to legal@newscred.com. Want your child to fall in love with reading? We asked parents, teachers, and librarians for their tips for inspiring kids to read. Everyone wants his or her kid to grow up to be a great reader. After all, childhood reading skills have even been shown to predict success not just in school, but also later in life. It isn’t too hard to get a child to read. But fostering a love of reading? That’s the hard part. You can tip the scales in your little reader’s favor though. Learn how to raise a reader by following these expert tips. Having a home library—even a small one—is a big deal, especially when it comes to raising readers. Studies have shown there is a strong correlation between the number of books in a household and kids’ overall educational outcomes. In other words, kids whose parents keep books in the house have a big advantage. This is because when kids are constantly exposed to books, they become a normal part of everyday life. The best way to raise a reader is to read yourself. Don’t do it secretly. Read where your kids can see you. If your kids think that reading is something adults don’t do, they might be less inclined to do it as they get older. “Modeling” what to do is one of the best ways to teach any behavior, because kids love to copy adults—especially their parents. You can also model by reading aloud to your kids. Making reading a group activity has several benefits. Kids not only learn to love reading because it’s something they do with the people they love, but they also learn how to pronounce the words they see on the page and pick up reading fluency skills, too. When they’re old enough, ask your kids to read books aloud to you. If they’re nervous, get them to read to the family pet instead. Dogs are fantastic listeners. The American Academy of Pediatrics recommends starting to read out loud to your child at birth. If you’ve been raising a reader, they may already think of books as sources of fun. Still, they may not know the variety of books out there. So when you’re out and about and your child starts asking questions about the world around her, make note. “When [my children and I] are doing other things and become curious, we make an effort to learn more by finding a book on the topic on our next trip to the library,” says Kelli Casey, a secondary reading and English language arts resource teacher. By doing this, Casey shows her kids that nonfiction books are great resources for learning new things. Just like with many other healthy things, reading becomes second nature to kids when they make it a habit. As a parent, you can foster a reading habit early by setting out a time each day to share a book with your child. Habits are made and kept by repetition, so try your best not to skip a day, even when you’re busy. This article was written by Rebecca Renner from Real Simple and was legally licensed through the NewsCred publisher network. Please direct all licensing questions to legal@newscred.com. Sensory smart parenting made easy. Then you serve dinner. The kids are pleased with the mac n’ cheese at exactly the temperature they like but … the spinach cakes are WRONG. Jenny starts to wail and Jayden calls her a baby. And the nighttime battles begin. Do your child’s likes and dislikes make you feel like you’re catering to a cute but impossible dictator? All of us have preferences and intolerances. But there’s a big difference between the endearing quirks that all kids have and sensory issues that make living with children SO very difficult at times. We all learn through our senses, both the familiar ones—touch, sight, sound, taste and smell—and some that are less well known: vestibular (our sense of movement), proprioception (our internal body awareness), and interoception (our sense of physiological well-being or distress). Sensory processing refers to how we transform all of these sensory messages into useful information so we know what’s going on in the world and with our bodies so we can respond proportionately. Some of our kids, and some of us, are wired differently. When people have sensory processing issues, their brains do not interpret sensory information accurately and reliably, so their responses may be out of proportion. They may overreact to certain sensory experiences that don’t seem to bother anyone else. They might be hypersensitive, feeling things too intensely and thus overreacting to a tiny scratch or to getting messy with glue or paint. The hypersensitive child might be fussy about clothing or food textures. A child can also be hyposensitive (underreactive), needing a lot of input for it to register in his brain—stuffing his mouth with food to feel it in there, sprawling on the floor during circle time to feel the floor beneath him, or playing too roughly at recess. Many kids have sensory meltdowns when there is too much input to process, as can happen in a busy classroom or crowded store. Fortunately there are “sensory smart” parenting hacks you can use to minimize the effect of these sensitivities. 1.Keep a journal to help you predict and prepare for sensory-related problems. Write out where the problem happened, what preceded it, the problematic behavior and what seemed to help. 2. Create a visual or written list of the day’s events so your child knows what to expect. Children (and many adults) feel more confident and capable when they know what’s ahead. If a disliked activity is planned, collaborate on ways to make it more tolerable such as downloading favorite music on your smartphone for your child to hear while she’s sitting in the doctor’s office. 3. Bring a bag of tricks to help your child stay on an even keel. If you know your child gets fidgety when waiting in line, keep a supply of calming items: an unbreakable show globe, a container of putty, chewing gum and so on. If your child is sensitive to noise, bring sound-reducing earmuffs, noise-cancelling headphones or earplugs. 4. Get them moving! Kids need to move, some more than others. If your child is bouncing off the walls when it’s time to sit down for dinner, plan ahead and have him get intense movement before dinner such as climbing a few sets of stairs, jumping on a mini-trampoline with a safety bar (or a mat on the floor), running laps and so on. If your kid loves screens, put on a gonoodle.com or other online activity that encourages movement. Exercise keeps kids healthy and also generates those feel-good chemicals that keep kids happy too. 5. Take breaks and don’t over-schedule. We’re all overworked and overbooked these days. We mighy be used to it, and lots of kids thrive on being busy, but sensitive kids need downtime. Keeping it together at school all day among active kids and all of those academic, social and behavioral demands is a lot to ask of a sensitive child. Taking a short restorative break in a quiet, softly lit room or taking a peaceful walk in a park after school can make all the difference! Some kids, teens and adults have sensory challenges so significant that they interfere with learning, playing, working—and the ability to parent confidently. Somewhere between 10 and 15 percent of children have what’s called sensory processing disorder (SPD), including those diagnosed with autism and attention deficits, as well as kids who do not have any other developmental issues. The Sensory Checklist in Raising a Sensory Smart Child, which you can also download from sensorysmarts.com, will help you better understand your child’s sensitivities. 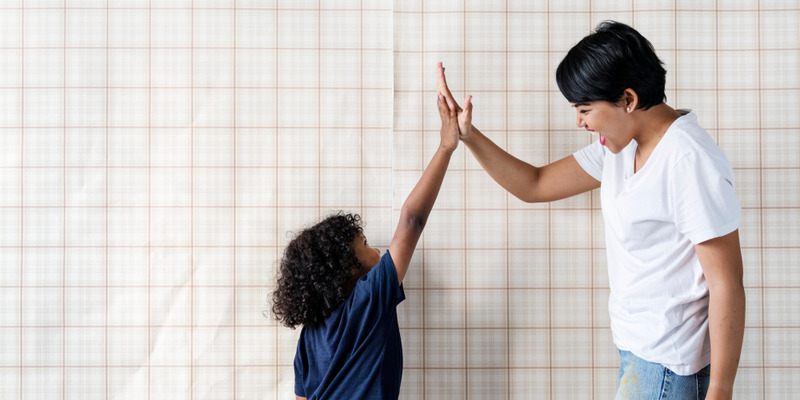 A pediatric occupational therapist who specializes in sensory challenges can help you create more sensory-friendly environments and routines while, even more importantly, building your child’s ability to better process everyday sensory experiences. Lindsey Biel, M.A., OTR/L, is an occupational therapist with a private practice in New York City. She is co-author of the award-winning book, Raising a Sensory Smart Child: The Definitive Handbook for Helping Your Child with Sensory Processing Issues. This article was written by Lindsey Biel from Working Mother and was legally licensed through the NewsCred publisher network. Please direct all licensing questions to legal@newscred.com. Be ready to listen and help create a plan. A creeping feeling of dread comes the first time the teacher reaches out. Early in the school year, the teacher pulls you aside or sends an email saying,“Can we find some time to talk?” Most parents know in the back of their mind some behavior challenges are on the horizon, but don’t know how they’ll manifest in school. As a parent, the conversations that follow can be daunting. But you can do your child, and yourself, a world of good if you hone in on what your child’s teacher is saying. Here are five steps to engage with your teacher in the most productive way possible. The teacher isn’t judging you. She isn’t judging your child. In fact, everybody involved is aligned on the same goal: how can we create the best possible experience for this child? Of course, you’re going to have anxiety over the wellbeing of your child, so it’s not easy to put it aside. But in its place, view the conversation as an invitation to start a dialogue. Until you have more information, you don’t want to make assumptions about the road ahead. How big of a problem is this? The teacher could simply be telling you about a single challenging episode, just so you know, with no long-term plan of action necessary. Or, they could be clueing you into a more significant problem. What is the nature of the problem? It could be things like trouble with transitions, or aggression. Should we be pulling in more resources? There are many things a school can do to help a kid who is struggling, including specific supports at school (sometimes called Response to Intervention or RTI) all the way to arranging for an evaluation for your child. An evaluation is a more significant step, but also opens up doors to increased aid and professional services your child may be entitled to. Schools are responsible for creating learning environments for all students. What supports might help at home? The teacher will have some ideas about tools and methods that might work at home. Even better, they can match the system at school. Everyone wants your child to succeed. If you get defensive, it makes the team less productive. If the teacher is helping you understand the onset of more complex issues, the two of you are going to have to work together to communicate with doctors and insurance. You’ll want to plot out strategies and understand how you can navigate your specific school to create the best environment possible for your child. Your teacher isn’t blaming you and wants to work with you. Complex problems are going to mean stepping into a world of increased supports with a catacomb-like vocabulary. Your teacher and the school staff have been there before. At the point you get here, you’ll also want to turn to your pediatrician, and start thinking about additional professional services (like a psychologist or clinical social worker). Sometimes, despite your best efforts, you won’t be able to talk to school staff with trust. While you shouldn’t give up on re-establishing that trust, there are members of your community you can turn to. Many communities will have a SEPAC (special education parent advisory council) that can help. A special education advocate can also be a starting point, since they’ll know the system. Finding a local advocate is usually as simple as turning to your local parent community (a Facebook group in your hometown) and asking for recommendations. Once a teacher alerts you there’s a problem, try to check in after you first talk. This is going to be the first clue on how seriously the teacher takes the problem. If the check-in suggests everyone has moved on, that’s great. If the teacher is talking about supports that have been put in place and how everyone is responding to them, then you have a clue they view the challenges as something that will persist. If supports are ongoing, try to keep checking in, and see how things are progressing. Even if your child is receiving supports, you should still expect progress. Schools are getting better about taking data and should be able to tell you how things are going. You can extend your child’s learning into your home. What this looks like will depend on what challenges you’re facing. Your teacher might have some recommendations, or you could echo the supports being used in the classroom. If you’ve reached out to your doctor, then they might have some ideas as well. I personally tend to recommend methods that reward kids’ innate drive to learn through exploration. At some level, we all know we’re not going to be able to reason kids through behavioral challenges. But we can tap into experiential learning. Sports can do this; some kids find a place where they latch onto the teamwork aspect. Surprisingly, video games can sometimes pull off the same trick, especially if the family can play together and develop ways to cooperate. Jason Kahn PhD is a dad, Researcher at Boston Children’s Hospital, Instructor at Harvard Medical School, Co-founder & Chief Science Officer at Mightier. Mightier uses the power of bioresponsive games to help kids build and practice calming skills to meet real-world challenges. This article was written by Jason Kahn PhD from Working Mother and was legally licensed through the NewsCred publisher network. Please direct all licensing questions to legal@newscred.com. There isn’t a set recipe for how to raise a successful child. However, research points to several factors that could help. 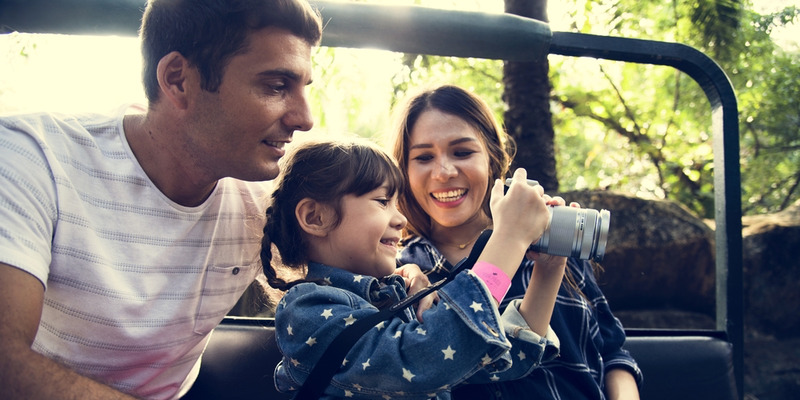 Some of those factors might be totally out of your control: research has shown that being wealthier and a college graduate are two big influencers of your children’s success. Most parents want their kids to stay out of trouble, do well in school, and go on to live successful lives as adults. And while there isn’t a set recipe for raising successful children, psychology research has pointed to a handful of factors that predict success. Unsurprisingly, much of it comes down to the parents. 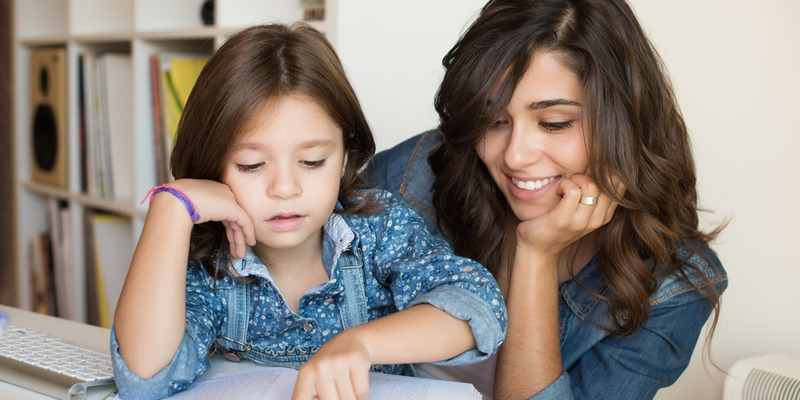 Keep reading to take a look at what parents of successful kids have in common. Drake Baer contributed to a previous version of this article. “If kids aren’t doing the dishes, it means someone else is doing that for them,” Julie Lythcott-Haims, former dean of freshmen at Stanford University and author of “How to Raise an Adult” said during a TED Talks Live event. “By making them do chores — taking out the garbage, doing their own laundry — they realize I have to do the work of life in order to be part of life,” she previously told Business Insider. Lythcott-Haims believes kids raised on chores go on to become employees who collaborate well with their coworkers, are more empathetic because they know firsthand what struggling looks like, and are able to take on tasks independently. Researchers from Pennsylvania State University and Duke University tracked more than 700 children from across the US between kindergarten and age 25 and found a significant correlation between their social skills as kindergartners and their success as adults two decades later. The 20-year study showed that children who could cooperate with their peers, be helpful to others, understand their feelings, and resolve problems on their own were far more likely to earn a college degree and have a full-time job by age 25 than those with limited social skills. Those with limited social skills also had a higher chance of getting arrested, binge drinking, and applying for public housing. “This study shows that helping children develop social and emotional skills is one of the most important things we can do to prepare them for a healthy future,” said Kristin Schubert, program director at the Robert Wood Johnson Foundation, which funded the research, in a release. Using data from a national survey of 6,600 children born in 2001, University of California at Los Angeles professor Neal Halfon and his colleagues discovered that the expectations parents hold for their kids have a huge effect on attainment. 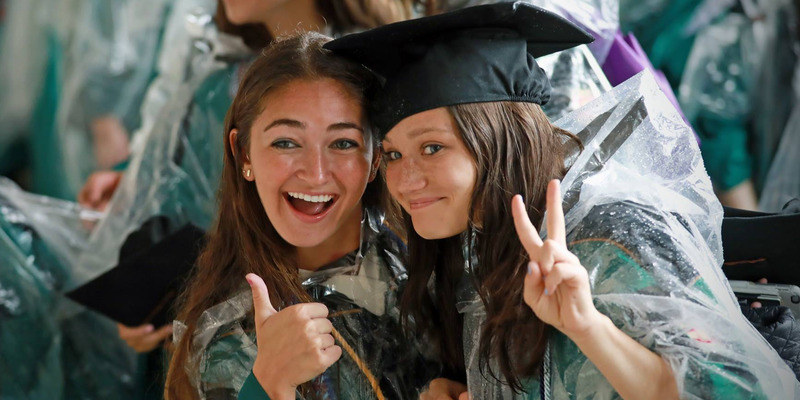 “Parents who saw college in their child’s future seemed to manage their child toward that goal irrespective of their income and other assets,” Halfon said. The finding came out in standardized tests: 57% of the kids who did the worst were expected to attend college by their parents, while 96% of the kids who did the best were expected to go to college. This falls in line with another psych finding: The Pygmalion effect, which states “that what one person expects of another can come to serve as a self-fulfilling prophecy.” In the case of kids, they live up to their parents’ expectations. Children in high-conflict families tend to fare worse than children of parents that get along, according to a University of Illinois study review. A nonconflictual single-parent family is better for children than two-parent families with conflict, according to the review. But, conflict between parents before and after a divorce can affect children negatively. Another study in this review found that 20-somethings who experienced divorce of their parents as children still report pain and distress over their parents’ divorce ten years later. A 2014 study from the University of Michigan found that mothers who finished high school or college were more likely to raise kids that did the same. Pulling from a group of over 14,000 children who entered kindergarten from 1998 to 2007, the study found that higher levels of maternal education predicted higher achievement from kindergarten to eighth grade. A different study from Bowling Green State University suggested that the parents’ education levels when a child is 8 years old “significantly predicted” the education and career level for the child four decades later. 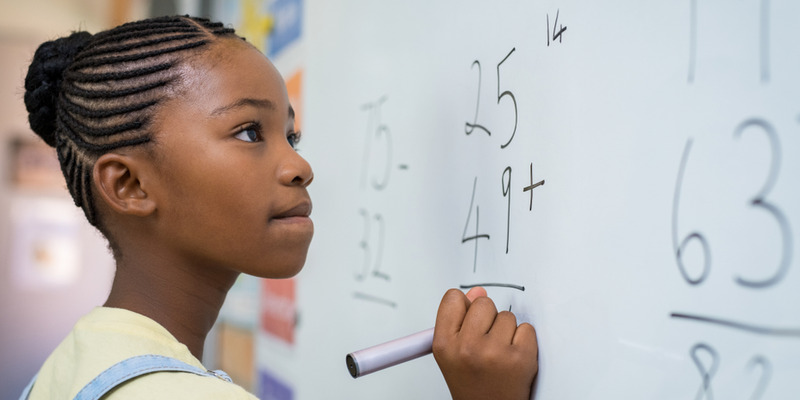 A 2007 meta-analysis of 35,000 preschoolers across the US, Canada, and England found that developing math skills early can turn into a huge advantage. A 2014 study of 243 children born into poverty found that those who received “sensitive caregiving” in their first three years did better in academic tests in childhood than those who did not receive the same parenting style. Those children also had healthier relationships and greater academic achievement. “This suggests that investments in early parent-child relationships may result in long-term returns that accumulate across individuals’ lives,” coauthor and University of Minnesota psychologist Lee Raby said. Where kids think success comes from also predicts their attainment. A “fixed mindset” assumes that our character, intelligence, and creative ability are static givens that we can’t change in any meaningful way, and success is the affirmation of that inherent intelligence, an assessment of how those givens measure up against an equally fixed standard; striving for success and avoiding failure at all costs become a way of maintaining the sense of being smart or skilled. A “growth mindset,” on the other hand, thrives on challenge and sees failure not as evidence of un-intelligence but as a heartening springboard for growth and for stretching our existing abilities. Dweck’s mindset theory has attracted valid critiques over the years, but the core tenant of believing that you can improve at something is important to encourage in children. 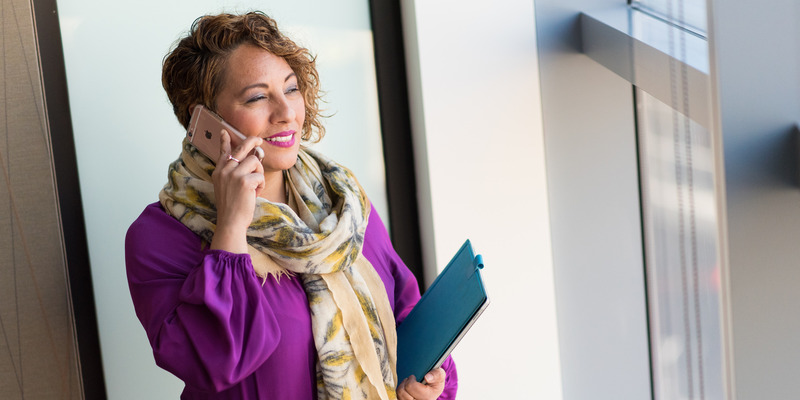 According to research out of Harvard Business School, there are significant benefits for children growing up with mothers who work outside the home. “There are very few things, that we know of, that have such a clear effect on gender inequality as being raised by a working mother,” Harvard Business School professor Kathleen L. McGinn, who led the study, told Working Knowledge. Daughters of working mothers went to school longer, were more likely to have a job in a supervisory role, and earned more money — 23% more compared to peers raised by stay-at-home mothers. The sons of working mothers also tended to pitch in more on household chores and childcare, the study found. Women are more likely to feel intense pressure to balance child rearing with workplace ambitions. Ultimately, they spend more time parenting than fathers do. A 2015 study found the number of hours that moms spend with kids between ages 3 and 11 does little to predict the child’s behavior, well-being, or achievement. In fact, the study suggests that it’s actually harmful for the child to spend time with a mother who is sleep-deprived, anxious, or otherwise stressed. “Mothers’ stress, especially when mothers are stressed because of the juggling with work and trying to find time with kids, that may actually be affecting their kids poorly,” study coauthor and Bowling Green State University sociologist Kei Nomaguchi told The Washington Post. It could be more beneficial to spend one fully-engaged hour with a child than spend the whole evening half-listening to your kid while scrolling through work emails. One-fifth of American children grow up in poverty, a situation that severely limits their potential. As social scientist Dan Pink wrote, the higher the income for the parents, the higher the SAT scores for the kids. 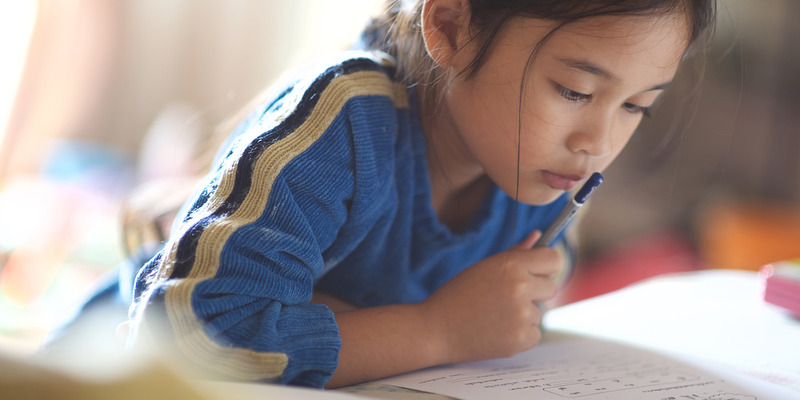 “Absent comprehensive and expensive interventions, socioeconomic status is what drives much of educational attainment and performance,” Pink wrote. This article was written by Rachel Gillett from Business Insider and was legally licensed through the NewsCred publisher network. Please direct all licensing questions to legal@newscred.com. We all know kids who started reading (as in full books) at 18 months. Others had the gross motor skills to ditch their training wheels at four. One friend’s son plays Mozart on the piano and devours Harry Potter books. (He’s six.) And while all of these achievements are amazing—and debatably innate as opposed to parent-directed—they’re not necessarily concrete predictors of academic success. Want to know what is? Curiosity. So the next time your kid fires off “why?” faster than you could possibly formulate answers (Why is the sky blue? Why do dogs sweat from their tongues? Why do I have two eyes instead of one? What are s’mores? Can I have one? Can I have 10? Why? ), celebrate it like the sign of genius it surely is. Then take them to a museum or library to investigate, stat. Curiosity! It won’t kill cats. And it just may land your kid on the honor roll.